Unisex 3/4 length knee pants (boys and girls). Cut and sewn. Solid colour. Elasticated waistband with draw string. Normal fit. Suitable for any sport. Specially designed for training. Knee pants leg cuff with adjustable Velcro strap. Available in 3 different colours. Warm fabric. 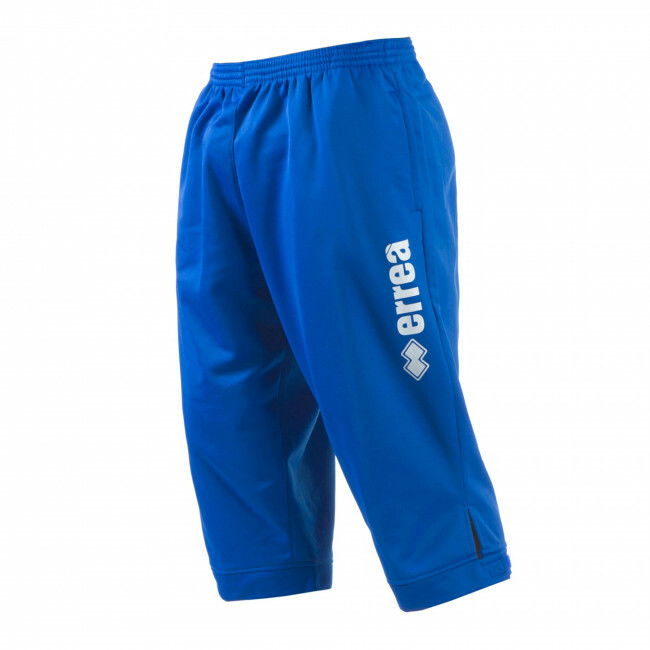 The Linch knee pants by Erreà have been specially designed for outdoor training. These knee pants for boys have are 3/4 length and cover the leg up to just under the knee. A practical Velcro strap has been added to the leg cuffs to adjust the garment to your size. They are made of a lightweight, resistant and warm material: you can use them for your training sessions to protect you from the cold.